(Washington, D.C.—Oct. 11, 2018) ChinaAid will be speaking at a Chinese human rights and religious freedom briefing today in Washington, D.C., today, testifying to the abuses of the nation’s Communist Party. 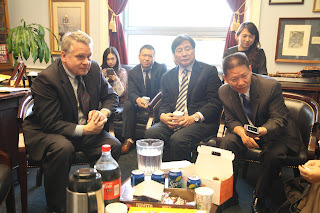 Grace Kang, a rule of law adviser in the D.C. area, will be speaking on behalf of ChinaAid, making recommendations to U.S. leaders on how to respond to China’s abuses, including targeting persecutors and implementing incremental sanctions on areas in China in which persecution is the most severe. ChinaAid advocates on behalf of the persecuted at such briefings in order to expose the abuses they are suffering and promote religious freedom, human rights, and rule of law.